Hi i just registered and i agree with you guys, i always watch tv, hear music to improve my english, but if you learn a new word and you dont practice every day you will never going to improve your english... i really thank you for the tips. Hello everybody! For the best pronunciation it is necessary much to listen kaset in English, transmitters of language. And practiced together with them. Then there will be good results. For an ESL student, the speaking practice is pretty difficult because sometimes it's hard to find someone to speak with. For my case, I've joined an English Club in my city and it has helped me alot. Good communication comes in many forms and styles. No rule is ever set in stone and breaking the rules can sometimes be the best way to get your point across. You should figure out what works best for you and develop your own style. Whenever you do speak, always dress appropriately. You should look at least as good as your audience does. If you are appearing as an authority on your subject, dress better than your audience, if possible. Always try to be informed on your subject. An audience can usually tell if you don't know what you are talking about. If someone asks a question you don't have the answer to, it is okay to say that you aren't sure. Be especially careful when your words may have undesired consequences. You should enunciate your words properly. Make sure that every syllable is enunciated properly. You can practice by reading a book allowed. If you're speaking as a resource speaker for an audience, it wouldn't hurt to start off with a joke especially if you're nervous. This will help break the ice and whatever wall is between you and the audience. It can also help your confidence. You also have to speak slowly! If you're speaking too fast, you have the tendency to stutter and to get lost in thought. When you're speaking slowly, you can gather your thoughts while you're speaking and you can also focus on proper pronunciation. Work on removing fillers and foghorns. Fillers are unnecessary words that we sometimes use. Words like basically, actually etc. Some people are dependent on fillers to keep the speech going. Foghorns are words like "aahh", "uhm" and the likes. We sometimes use this if we're thinking of what we're going to say next. You can also practice speaking by visualizing yourself making that speech! This will help you calm down your nerves. If you're going to speak in front of an audience as a speaker, make sure that you know your material by heart! Don't rely too much on your prepared materials. You should know the subject by heart which will give you more confidence. If you're going to speak in front of an audience, have idiot cards instead of having your whole speech in front of you. Idiot cards or cue cards work best in small index cards. Just write down the topics and guides of what you're going to talk about. Not only will it look more natural, it can develop your speaking skills as well. mathewhayden wrote: Here are some tips by me to you for a good speaking skill. To speak fluently, first you should have confidence in yourself for a good start. And then choose any topic and start writing on that topic first and then take a recorder and start saying what you have written. Then you hear it and notice where you are in fault and then improve it. Great tips. If you don't believe in yourself, why should your listeners believe in you? I have read your suggestions regarding English speaking. Its very good suggestion. But i want to add something. One should speak in English all the time. Start talking with friends, relatives and colleagues. Careful transitions are an important part of preparation. A transition is a bridge from Point A to Point B - a connection between two points. If you learn to use specific transitions, you will improve the fluency of your speech as well as avoiding the verbalized pauses and unnecessary words. Good transitions demonstrate a command of language, thus enhancing your credibility. but if i leave in Arabic country all of theme only speak Arabic language, what can i do? Really needed these kind of tips for speaking English , i am really into to speaking English. Well, when i will lead to the success then i will help to others . Improve your Learning Skills! Learning is a skill and it can be improved. Don't be in too much of a hurry. You're setting off on a long journey and there'll be delays and frustrations along the way. Sometimes you'll be in the fast lane and other times you'll be stuck in traffic, but there will also be lots of interesting things and interesting people along the way. The main reason why we English learners fail in conversing efficiently is that we are in a dilemma that what if we say something that doesn’t make sense or sometimes we are just feel shy to speak to someone because we don’t know how to strike a conversation or something like that. 1.Build your confidence: The first thing is to have confidence in yourself and in your speaking. Not having confidence is just a mental blockage and try not to be shy. 2.Try NOT to translate: If you translate the words from your Mother tongue, The order of words is completely different and you will be both slow and incorrect by doing this. Instead, learn phrases and sentences so you don’t have to think about the words you are saying. It should be automatic. 3. speak out loud: when you study, don’t just listen. Speak out loud the material you are listening to and practice what you hear. Practice speaking out loud until your mouth and brain can do it without any effort. By doing so, you will be able to speak English fluently. 4.Practice: Without practice, nothing can be achieved. You must practice what you learn – new words, grammar and some of the phrases I mentioned. 5. Don’t speak too fast! It’s important to use a natural rhythm when speaking English, but if you speak too fast it will be difficult for people to understand you. 6.Expand your vocabulary: What you need to do is watch English movies with subtitles. As soon as you see and listen a new word, write it down and look for its meaning in a dictionary. Look on the internet to find sentences with that word. Pronounce the word many times to make it second nature. Review the words for two weeks at least and they will be a part of your vocabulary. 7. surround yourself with English: You can do this by making rules with your existing friends that you will only speak English. You can also carry around an iPod and constantly listen to English sentences. As you can see, you can achieve results by changing what your surroundings are. Submerge yourself in English and you will learn several times faster. 8.Find native friends and speak with them: there so many sources for chatting through internet which make you able to communicate with people around the worlds,so you can be connected and speak as much as you want. I thought that many and the human practices the dialog to have the help very much! Speaking of any language is an art. The most of the people learn speaking any language with help of coaching classes, through tv, radio etc. Everyone here is providing excellent tips for speaking English.I feel that practicing English with books or materials wont help to speak perfect English.So i have started practicing English with videos http://www.youtube.com/user/twominenglish practicing speaking with videos helps to learn English fast. Wow, some great ideas here indeed. I think that if you want to improve your spoken English, it would be a good idea to practise speaking. Repeat the conversations in your favourite movies to help exercise the muscles in your mouth and try to start slow and gradually build up speed. Another idea is that if you want a partner to talk to but you live in a non-English country, try to find one on a website like http://www.livemocha.com or perhaps http://www.meetup.com. Great ideas everybody. Thanks. I stumbled in to this while looking for sites which helped you practice spoken English with native speakers.Pls share know any other options. It seems like there are not many good options. Firstly, thank you so much for all the ideas. I learnt so much. I'm looking for a spoken English program where I can speak with natives - not learn grammar or words but just speak as much as I can. Do you know any such program on the internet? I found two websites that provide spoken english practice with native speakers. One is called Spoken English Practice. http://www.spokenenglishpractice.com Looking at the site, they seem to have been in business for sometime now. Pls share if you have had past experience with these sites. at the start will definitely slow down your speaking progress. that's what they are being drilled at schools. flowed out their mouth. It's not perfect, but at least, they could communicate. grammatical mistakes in their speech, I fixed them. Interestingly, at that point, it wasn't that difficult for them make the change. I don't think it should be your priority when you first learn to speak. 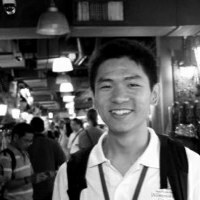 Founder of http://www.AmericanAccentHack.com, a free site dedicated to help English learners improve their accent and change their lives. _ build your confidence and never feel afraid of making any sort of errors. _ Think in English when speaking as this will help you generate the ideas more easily and make the right connection if needed. _ Increase your list of vocabulary. You can't talk if you donot have the adequate amount of words needed in every situation. _ If you donot have acess to talking with native speakers, you can watch their vedios and other authentic materials especially those that are related to teaching & learning English as well as talking about different topics you are interested in. Hi, here is a tip that I consider very helpful when you need to practice speaking but there is no one to speak with. I learnt Greek this way but it does work for any language. Talk in front of the mirror. And talk aloud. You can start with any topic, from how to buy a ticket for the subway, giving and asking for directions, ordering food and s.o. Make talks and dialogues ... do it aloud, don't keep it quite, it's not gonna work if you don't say everything aloud. Say that you started a dialogue for asking and giving directions. You take both parts of the dialogue and you keep it alive for several times. Try to improve it, add new words, make the sentences more complete every next time. Also, try to give a voice to your thoughts. When you are walking in the park for example and you are thinking of something, try to do it aloud. For example, "Now, when I get to the end of the par, I will need a small rest. I will find a bench and I will sit for half an hour. Later, I will go to visit my sister. She lives nearby and once I am here I need to visit her. Shall I call her before or shall I go straight." and s.o. Be confident, the fact alone that you're making an effort to speak in another language is admirable! Matian wrote: 2.Try NOT to translate: If you translate the words from your Mother tongue, The order of words is completely different and you will be both slow and incorrect by doing this. Instead, learn phrases and sentences so you don’t have to think about the words you are saying. It should be automatic. This is really a very important tip that many don't use. I've seen some good advice in this topic. The only thing I can add is that when you don't have people around you to practice with, you must create, or make, practice opportunities. Your speaking will not improve without practice. So read this topic, read other resources, and make notes about practice opportunities that you can create for yourself. Record yourself before you begin the new practice. Then, after maybe 2 months, record yourself speaking again. Listen to both recordings and see if you notice progress. It is important to focus on what you do that is correct, and not only on what you need to improve. More confidence, less fear with online speaking and grammar lessons. I just wanted to add some details. I tihnk it is rather obvious but anyway. You are likely to make a mistake when you have a fear of making it. The main tip for me is to try to talk without being nervous. I have been learning English in this academy in Madrid http://www.soloidiomas.com/ and I clearly undestood that the group communication is the perfect way of learning a language. Discussing something interesting (a movie or a series' episode) may beat your fears and provoke you to talk more. I liked visiting my classes and thanks to this practice I stopped getting shy when it comes to speaking. Which is your best way to get fluent in a foreign language? It would help to warm-up and take a deep breath before you speak. It will help you feel more relaxed. It can also minimize your mistakes. Hi i just registered and i agree with you guys, i always watch tv, hear music to improve my english, but if you learn a new word and you don't practice every day you will never going to improve your english... i really thank you for the tips. If opportunity doesn't knock build a door. Be optimistic look for the opportunity in every difficulty. Being positive in a negative situation is not naive. It is LEADERSHIP! Thank you so much all of you. I am new in this forum and I want to improve my english. I didn't get new ideas, I know how to speak English but I don't have confidence to speak in front of my friends. I have seen that the BEST way to learn English is by using the ASSIMILATION method. Ok How did you learn French? You learnt it by LISTENING and REPEATING. You didn't learn it by sitting in a classroom while someone did grammar on the board! You need to listen and practice saying the words out aloud. Proficiency in English language speaking is very important. Once you have made the decision to learn English, the next step is to learn how to improve your English speaking online. To improve english speaking, there are many online services that offer different online learning courses. These online courses connect you with native speakers and with their help you can improve your conversation skills. It is very important to speak as often as possible with native speakers. With their help you will not only gain a greater level of fluency, but also become more confident in your own English skills. Hi guys! Thank you all for wonderful tips! I think my worst enemy is my shyness. I know what words to use, how to use them but when it comes to actually talking I can't do anything. I talk so slow. You need to increase your vocabulary to get a good speaking skill. It required regular practise. Internet can help you in this matter very well. So explore the web and learn for the related keywords everyday. I won't elaborate in long way, I wanna say in short & sweet wards ..
3) Ask question to yourself and reply elaborately.